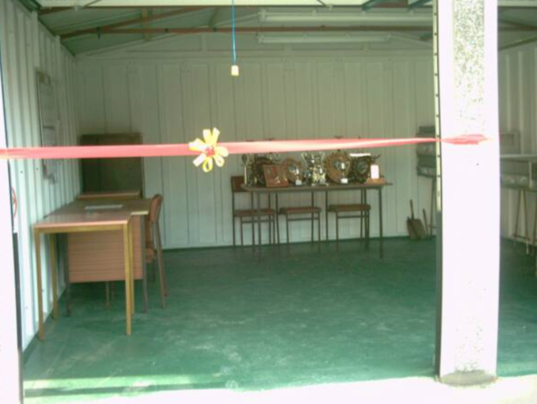 Saturday 1st November 2003, proved to be a red letter day for the Calverton Homing Society. 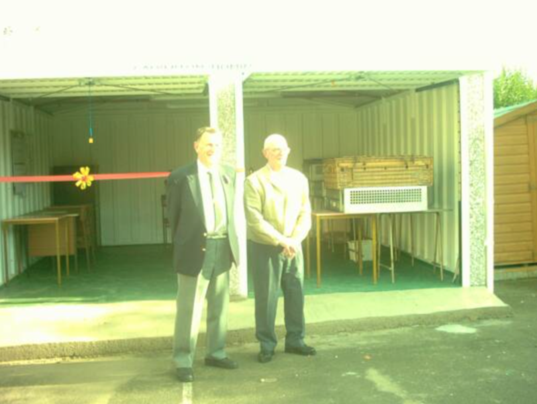 This was the day when members and friends celebrated the opening of their new Pigeon HQ at the rear of the Calverton Working Men's Club. A Highlight of the Homing Society's past occured during the year 2000. In a racing competition for the King's Cup, over 3000 pigeons were released in Lerwick, in the Shetland Isles, and after flying some510 miles, much of it over open sea, first home in Calverton was a pigeon owned by Society member Roger Buckley who received the prestigious King's Cup. Another member, Mick Wilson, won a bird which came second in the same race, a remarkable result for the Society. The Society now has some thirty members and fifteen or so are still regular flyers. 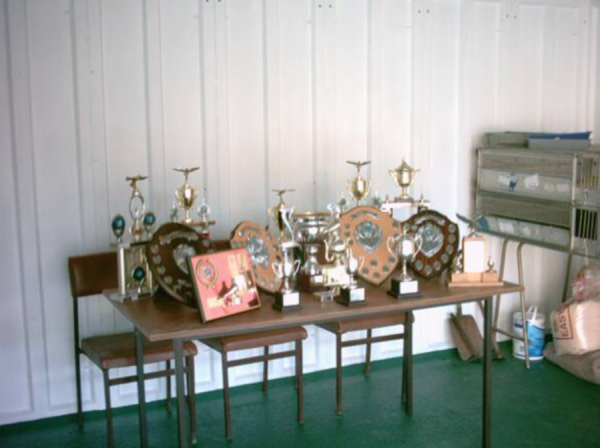 Some of the many trophies that the society give out.